-Access Granted – Ladies Night Out Edition. 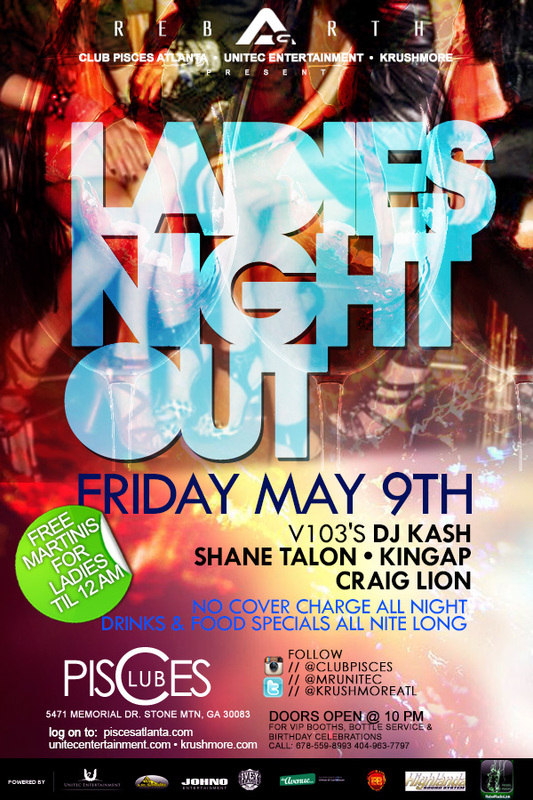 Music by: V103’s DJ Kash l Shane Talon l King AP l Craig Lion This Friday, May 9th @ClubPisces. EVERYONE FREE ALL NIGHT! !